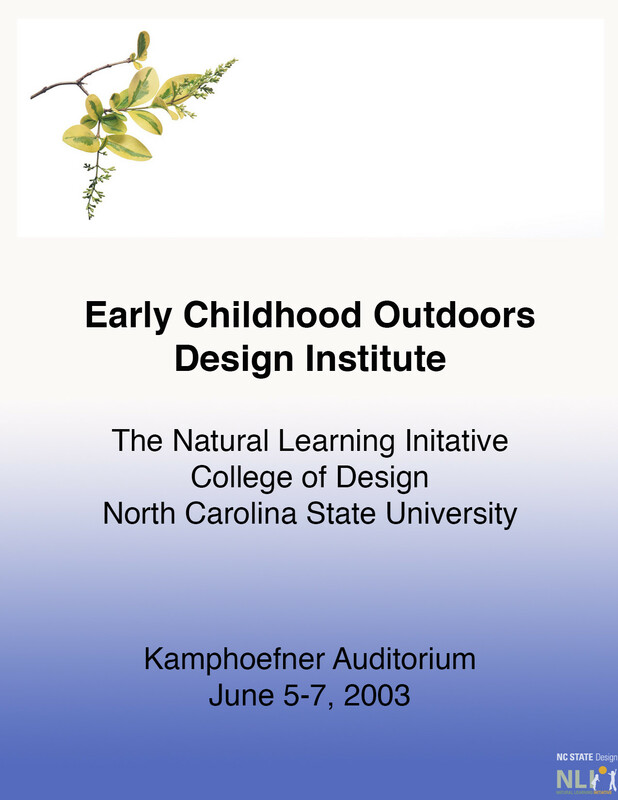 The goal of the Early Childhood Outdoors DESIGN INSTITUTE is to help designers, recreation professionals, and educators bring back the richness of the outdoors as a resource for education and health. Think back to when you were four, five, or six years old. It is likely some of your fondest memories are of the outdoors. Do you still remember when you used to pick summer blackberries, spy on a hidden bird’s nest, build a secret fort in the woods, climb a favorite tree, or play with water? Research (and personal experience) tell us that nature has a strong impact on the lives of children. But do today’s children have those same opportunities? Jane Taylor, Curator of the Michigan 4-H Children’s Garden, an adjunct faculty member in the Department of Horticulture at Michigan State University. Creating Magical Spaces: Design Implications. Jim Greenman, Senior Vice President for Education at Bright Horizons Family Solutions. What are Educators Looking for from Designers? Mike Lindstrom, AIA, an architect and Head of Horizons Design®. Designing a Childcare Center with the Outdoors in Mind.